Fee's Little Craft Studio: Spring is in the air ! The weather here in Tasmania has taken a nose dive back to winter here today with snow on the mountain but I definitely feel a spring in my step and a sniff of spring in the air. 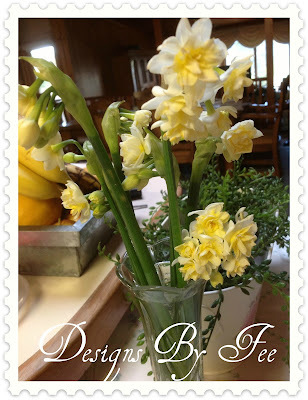 It's nice to be able to go into the garden and pick a bunch of spring blooms and display them in the house. Their sweet smell is divine and reminds me that sunny warmer weather is just around the corner. 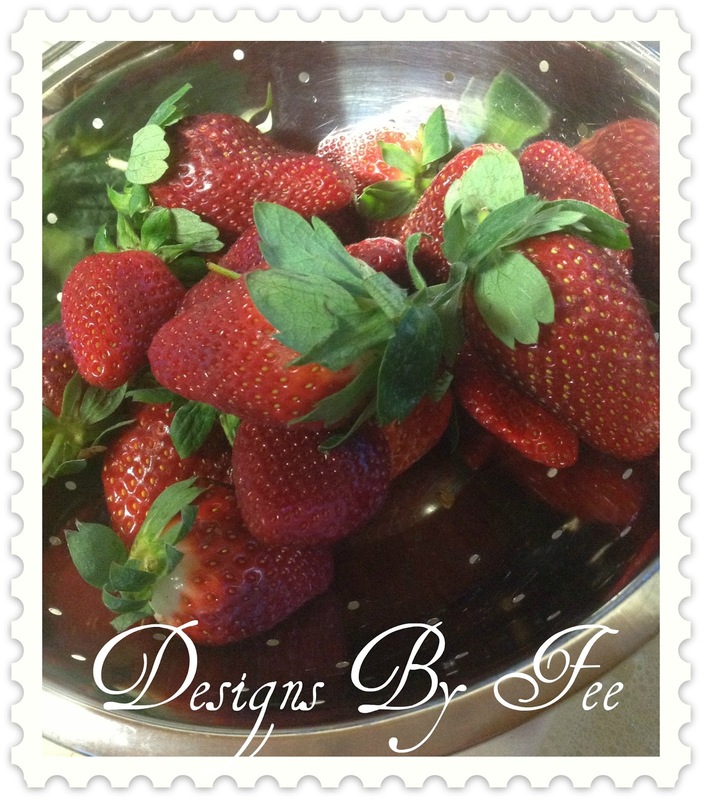 With the warmer weather comes the availability of sweet summer fruits. Berries of all descriptions are my all time favorites and strawberries are consumed almost daily in our household. Today I thought I would share with you one of my favourite kitchen gadgets - My Strawberry Huller. I purchased mine locally last year from a homeware store. It is a relatively cheap little tool - I found one HERE this morning to show you for under $9. You simply press the button at the top which opens up the jaws - Place it over the stem. Release the button and twist the tool to cleanly remove the hull with hardly any wastage. 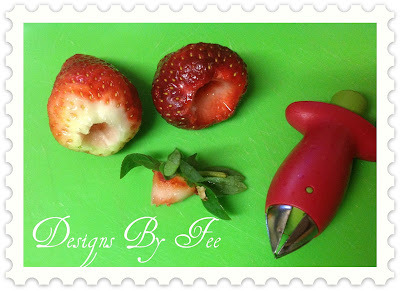 If you eat a lot of strawberries then this tool really is a must. Thanks so much for all of your e-mails and comments about our home renovation - We really are very excited about it. The next stage begins on Friday so the next few days we will be busy dismantling rooms in preparation. This time I will take Before and After shots. I love the flowers....and have an older strawberry huller but that one looks great....it is an off putting task. Might check out the tool! Your painting is looking good!